Ally Loprete guarantees a fun, inspirational and exciting message for your next event! Ally has extensive experience in home business coaching, executive management, parenting, work / family balance, entrepreneurship, and team building. She combines that knowledge with over 20 years of live performance experience in radio, TV and stage events to bring you an unforgettable presentation. The result is a custom-tailored presentation, rich in creativity and depth, that is delivered with Ally’s dynamic personality, razor sharp wit, and unique style! How to come together as a family unit to make the transition into at least one parent home. How to keep the current job you are in and propose a telecommute offer to your current boss that will save the company money. How to use the skills you already have to work for yourself rather than for someone else. Ideas for services that can be offered to your community right out of your home. For example, dog-grooming in the backyard, Washing cars in your front yard, offering beauty salon services in the kitchen during playdates. How to discover untapped resources in your community to find the support you need, such as babysitting co-ops and bartering with other self-employed parents in your area. How to manage your time between working at home, running a household and raising the kids. Learning the new work-at-home parent business etiquette and how it differs from corporate America etiquette, for example, adjusting to a slower pace of expedition or doing a conference call at 10:00pm. Every Parent should listen to this show!! The guests are just great and the topics taught me things I thought I knew but didn't!! I look forward to this show each week and have passed in on to all of my friends!!! And Ally Loprete is just wonderful!!! Every Parent should listen to this show!! The guests are just great and the topics taught me things I thought I knew but didn't!! I look forward to this show each week and have passed in on to all of my friends!!! And Ally Loprete is just wonderful!!! I LOVE this show! Ally offers sage advice for parents and truly the most easy to follow directions on how to come home and be with your family while still being able to help support the. Thank goodness for Ally! Ally offers sage advice for parents and truly the most easy to follow directions on how to come home and be with your family while still being able to help support the. Thank goodness for Ally! Great Show! I love listening to Ally. She really inspires me to build my business and be a successful work at home parent. Keep up the good work! I love listening to Ally. She really inspires me to build my business and be a successful work at home parent. Keep up the good work! Wonderful Show! Ally is one of those women that you meet and go WOW. She has this talent that allows her own vision to shine but at the same time makes you feel empowered and motivated to go after your own BIG dream. Ally is the perfect blend of momprenuer maven and total rockstar entrepreneur. The way she blends reality with a dash of soul and more than enough humour- this leader is someone you want in your corner. Jessica Martel, CEO/Founder of The Positive Core Coaching Co. Ally is so passionate about her mission and you can't help but get swept up in her enthusiasm. What a fun show on a very important topic. Anyone who wants to be home with their children needs to listen to this show! Ally thinks outside of the box! Ally is so passionate about her mission and you can't help but get swept up in her enthusiasm. What a fun show on a very important topic. Anyone who wants to be home with their children needs to listen to this show! Ally thinks outside of the box! Three of the many words that immediately came to mind as I began my conversation with the renowned influencer and internationally syndicated radio host Ally Loprete. As our conversation grew, it became ultra clear as to why - and how - Ally has grown such a massive following. She truly cares about success and the lives of people around her and she does everything she can to influence them to play bigger, understand their personal value and seek and own the life they dream about living. Three of the many words that immediately came to mind as I began my conversation with the renowned influencer and internationally syndicated radio host Ally Loprete. As our conversation grew, it became ultra clear as to why - and how - Ally has grown such a massive following. She truly cares about success and the lives of people around her and she does everything she can to influence them to play bigger, understand their personal value and seek and own the life they dream about living. I can tell you that personally, I left my conversation with Ally feeling as if I owned the world and that I could do everything I ever dreamed. That is the effect she has on people. Ally Loprete is truly revolutionary! A mover and a shaker, this girl is determined to get things done for our generation and for our children. If you want to get inspired, adn feel like the choices that you make every single day can have an impact on the society we live in...listen to this show. It’s gets better each week. Ally Loprete is truly revolutionary! A mover and a shaker, this girl is determined to get things done for our generation and for our children. If you want to get inspired, adn feel like the choices that you make every single day can have an impact on the society we live in...listen to this show. It’s gets better each week. Love it! Ally is truly inspirational to all parents raising children. I love her show! There’s encouragement out there- it’s on this show! Ally is truly inspirational to all parents raising children. I love her show! There’s encouragement out there- it’s on this show! I have been a fan of Ally Loprete for quite some time. And now I am so excited that she has brought her great ideas to the radio. I hope many more people will discover this dynamo of a mom and all her super guests! You are fabulous, girl! This is such a great show--your enthusiasm is infectious and your honesty is inspiring. I look forward to listening each week. Ally is great and so is her show. Definitely worth downloading and listening! Kepp up the great work! Ally is one informed and dedicated lady with a special point of view! In this day and age we can all use the help she offers. She is funny and authentic, a winning combination. Her mission to bring home 1 million parents makes me tune in each week! Her tips will not only support you, they help inform the world about how to live their dreams, wishes and desires, and you can’t beat that! Ally is one informed and dedicated lady with a special point of view! In this day and age we can all use the help she offers. She is funny and authentic, a winning combination. Her mission to bring home 1 million parents makes me tune in each week! Her tips will not only support you, they help inform the world about how to live their dreams, wishes and desires, and you can’t beat that! I love this show! LOVE listening to Ally’s shows! Her shows are amazing! Ally is so energetic, full of life, and motivating!!!! LOVE it! "Ally's inspiring, creative joy is contagious 🙂 In essence she is giving parents permission to balance home life with creative contributions to their communities that support the family unit as a whole. She encourages partnership and communication with everyone involved which is key to all healthy, honest relationships. Just listening sets your mind afire with inspiring ideas. Enjoyed this immensely and will pass it on. Thanks Ally!" 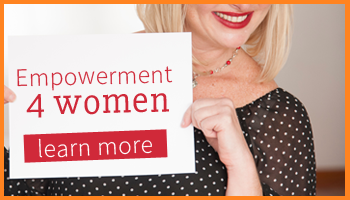 Wow--to be validated with my decision to be a WAHM is empowering. Trust me, you will never second guess yourself again about your decision to be home with your kids while earning a living. Thanks for being such an enjoyable, exciting host. I love your show, Ally. Wow--to be validated with my decision to be a WAHM is empowering. Trust me, you will never second guess yourself again about your decision to be home with your kids while earning a living. Thanks for being such an enjoyable, exciting host. I love your show, Ally. Love it! Love it! Love it! Pure Genius - Funny, Informative and Timely! I’ve become so hooked on this show! Ally Loprete has a way about her that assures you that in additional to sincerely caring, you know exactly what she cares about. Ally takes on not one, but TWO subjects which are highly emotional in today’s family unit landscape: Parenting and Family Income. 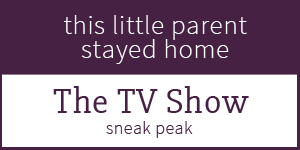 In fact, this is a refreshing show that provides parents with solid information on how to maximize their business ideas while working from home and REALLY PARENTING their children at the same time. I particularly enjoy hearing about the progress of a caller named Katy, who has some great tasting cookies and needed some input on how to market them while she stays home to parent her children. In just three weeks, Ally’s marketing advice has inspired Katy to give her cookie business such a positive momentum that I chuckled to hear Katy gleefully complain about how fast things are starting to happen. Thanks for your inspired efforts, Ally. I’m looking forward to hearing that smiling voice on your next show. (And Katy...send me some of those cookies!) Pure Genius - Funny, Informative and Timely! "I was just recently introduced to this "This Little Parent Stayed Home" and tuned in to one of the live radio shows. It was great! 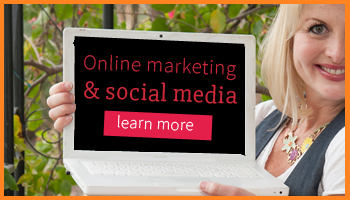 The show along with the "Our Milk Money" website are fantastic resources for those who already have work from home businesses as well as those considering them. It's always motivating to me to be able to connect with other parents who share the same goals and face similar obstacles. 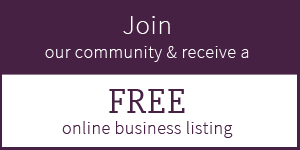 They are two forums that offer opinions and advice on subjects that relate to the issues, as well as the joys, of being a homebased business parent. Thank you Ally and your team for all you do!" I love this show! Ally gives great suggestions so you can stay home with your kids and not lose your crackers, your sense of self or the roof over your head. And she’s funny to boot. I love how excited she gets about parents being able to network and stay at home. She’s on a mission and I’m with her! I love this show! Ally gives great suggestions so you can stay home with your kids and not lose your crackers, your sense of self or the roof over your head. And she’s funny to boot. I love how excited she gets about parents being able to network and stay at home. She’s on a mission and I’m with her! Don’t miss this show! "I LOVE the radio show! How great of you to put yourself out there, embrace it...and share it with so many who can relate. You have "normalized" a bit of our human~ness...the pieces of ourselves that make us so dang human...and imperfect...and I think that is just PERFECT in and of itself! So REAL! Enjoyed your show! Thanks!" "Engaging, entertaining, and enlightening, Ally Loprete knows how to powerfully present and move an audience. She’s a natural at communicating big ideas, sharing her heartfelt story, and rocking the Woohoo that SHE does. I was honored to have her speak at Woohoo Weekend 2012 and highly recommend her as a featured speaker at your event." Whether the topic is parenting, business, time and energy challenges, or just plan fun, I love Ally's creative out of the box thinking. What I enjoy most about Ally's show is the authentic, energetic approach that she takes to like- its' contagious. Ally is a great example of a mindset that embraces that we can have it all, and that parenting is not a blockl to having it all, but part of the dream. Even though my kids are grown, I enjoy listening to this show because the mission is so important and its the place where I can keep my finger on the pulse of its progress. I agree with Ally- Let's bring parents home and create an economy that won't let us down! 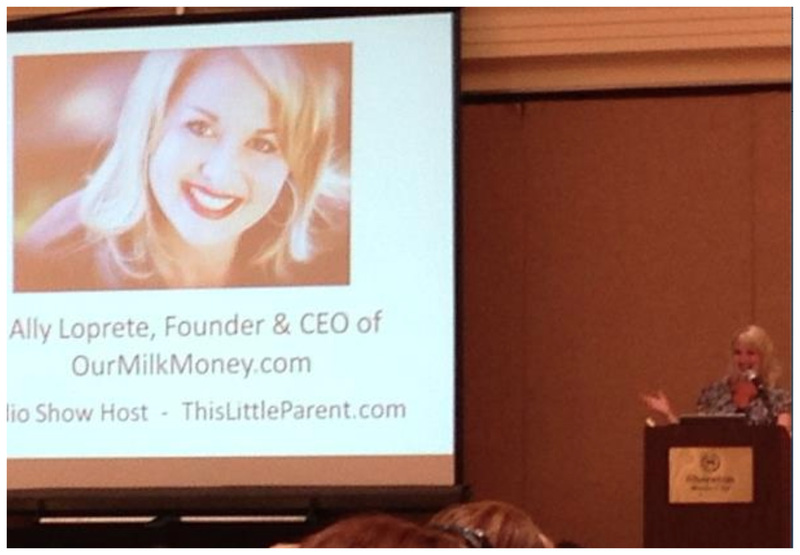 "I had the pleasure of hearing the FAB Ally Freund Loprete speak this past weekend, and I was truly touched. Ally is a beautiful Spirit and her spunky soul burst on that stage and delivered a powerful message-- anything is possible, commitment and courage always wins, mommies are the new entrepreneurial geniuses! I am not a mommy personally, but the message Ally spoke of is a Universal one-- we can create our desires when we tune into our truth and act on it. I totally fell in love with Ally's raw, real style. You could feel her authenticity pulsing through the room. If you want a powerful, honest, beautiful, heart-centered speaker-- grab Ally Freund Loprete for your event!" Whether you’re a parent or not, you cannot help but be inspired, motivated, and especially entertained by this show. Ms. Loprete is such an energetic and knowledgeable host. She obviously cares very deeply about helping parents fulfill their dreams and her passion and enthusiasm is infectious. She unapologetically tackles any subject whether is be religion or politics, but she never strays from her mission and you can hear how much fun she is having. I would recommend this show to everybody. It just makes you smile, feel positive and most importantly gives you hope. Ready to get pumped up for your next event? Get Ally booked now. Fill out this form and we will get in touch ASAP!